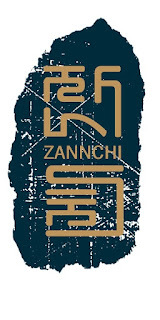 This March, Georgetown will welcome a new casual dining concept, Zannchi (1529 Wisconsin Avenue, NW.) Zannchi redefines traditional Korean fare by offering new classics like Banchan (tapas-style small plates, including dumplings) a variety of Bibimbap (hot stone rice bowls) and Kimbap (rica and seaweed rolls) in a relaxed atmosphere. The Georgetown eatery will open the first floor, 40-seat dining room this March with plans to launch the second story and outdoor patio later this Spring. Enveloped in rich navy blue hues and bedecked in heritage-inspired golden plates, Zannchi’s unique contemporary design is a twist on authentic decor straight from owner Eunjung Kim’s native country, Korea. Zannchi - or “feast” in Korean - is Kim’s first restaurant endeavor, but the Georgetown MBA student is no stranger to the hospitality industry. Kim’s family has owned a restaurant chain in Korea for over a decade. This, mixed with her time spent in Florence and New York, has provided Kim with a cultivated palate and sharp eye for the next big thing. “DC’s food scene is ever-changing and now, more than ever, Washingtonians’ diverse and discerning palates demand delicious, healthy and unique food - without feeling like they're sacrificing service and quality,” said Kim. Zannchi’s simple yet streamlined menu offers healthy vegetarian, vegan and gluten-free options using fresh ingredients ranging from Mushroom and Zucchini Banchan and Caramelized Kimchi Bibimbap to hearty meat dishes like Bulgogi BBQ Bibimbap and Spicy Pork Kimbap. “Whether it’s your first time trying Korean food or if you’re a seasoned foodie, Zannchi incorporates traditional Korean elements flavors in a playful and approachable way,” said Kim. Zannchi is located at 1529 Wisconsin Avenue, NW, Washington, DC 20007.